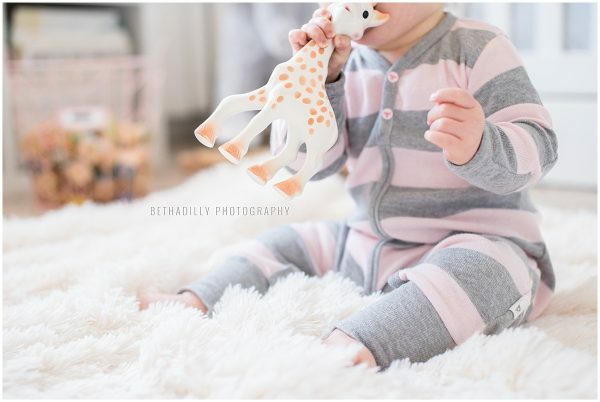 During my pregnancy, I shopped for cute baby clothes, designed a photographable nursery and dreamed of all the images I would take of our sweet baby. I imagined picking up my camera every single day to photograph her and always editing those images in a timely manner. And while I can now say that I have gotten some pretty incredible photos of my little one since she has been born, there are definitely a few things no one tells you about photographing your own baby. Here are just a few. This post contains affiliate links. Thank you in advance for supporting Click It Up A Notch. 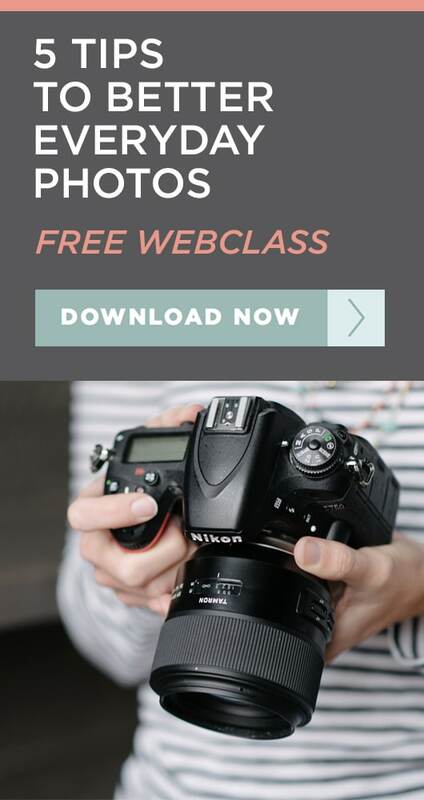 Prior to what I thought, I definitely didn’t pick up my camera every single day once our daughter arrived. First of all, exhaustion. What little time I had to myself was reserved for catching a few winks of sleep, not picking up my camera. While not photographing every little thing seemed a little overwhelming at first (I didn’t want to miss a moment! ), I quickly learned that it is okay and realistic to not photograph every single cute look or outfit. Instead, I focused on making the times I did pick up my camera really count. It really is true that the days seem to go by faster once you have a baby. Time literally disappears and you are left wishing, “I wish I would have photographed her doing that, and now it’s too late!” For these moments, do yourself a favor and make a list of the milestones or moments you really hope to capture with your camera. 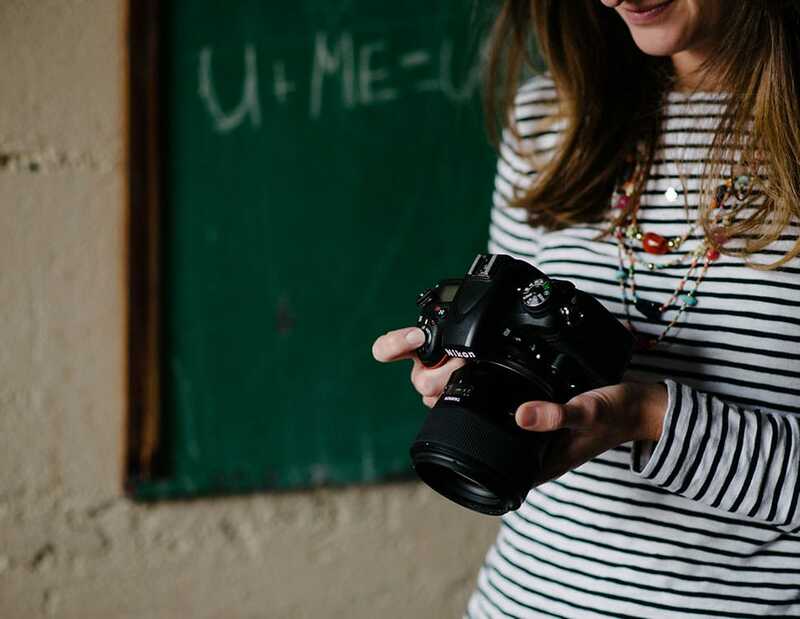 Having that list handy will help organize you to make time to pick up your camera when it really counts. I know it’s hard to imagine getting in a photo after having a baby, but it’s really important. Your little one will want to look back one day to not only see what they looked like, but what you looked like as well as a new mama. And even though you may not think so now, you will be thankful you were in some of the pictures later on down the road. My favorite way of getting in photos with my daughter is to set up a tripod with my Nikon D750, and use a wireless remote to trigger the shutter. While we all get overwhelmed when our Lightroom catalogs are overflowing with images that need to be culled and edited, it is actually a blessing to wait a bit before you edit. If you edit right away, you tend to see all your mistakes and flaws. But by waiting, you are giving your images a fresh pair of eyes and end up editing with emotion. You end up appreciating your images even more because they hold a time that you cannot get back. This one quote changed how I felt about photography. It made me realize, it’s okay to only take one photo and then live in the moment. Believe me when I say, take only a couple images and then savor the moment in person. It only takes one image to remind you of how little they were. If you remember anything from this post, please remember that taking photos of your little one should be fun. Don’t let it stress you out. Also, any pictures are better than no pictures. While we all strive to create award winning photographs, let this be a time where you photograph for the moment and the memory. Make sure you remember that, just because an image isn’t perfect, doesn’t mean the memory wasn’t perfect. All your photos are worthy, especially photos of your children. I love all these tips! Great tip to remember to capture the moment but also to be present in the moment! Question: do you have a good list (tip #2) that you have referred to since the birth of your sweet girl? Hello Michelle! Not really, I just had a general idea of what things I really wanted, from years of watching other people have babies! :) However, I think having a baby book really helps because the book prompts you to either place photos/write about certain milestones, which will help you develop a list! 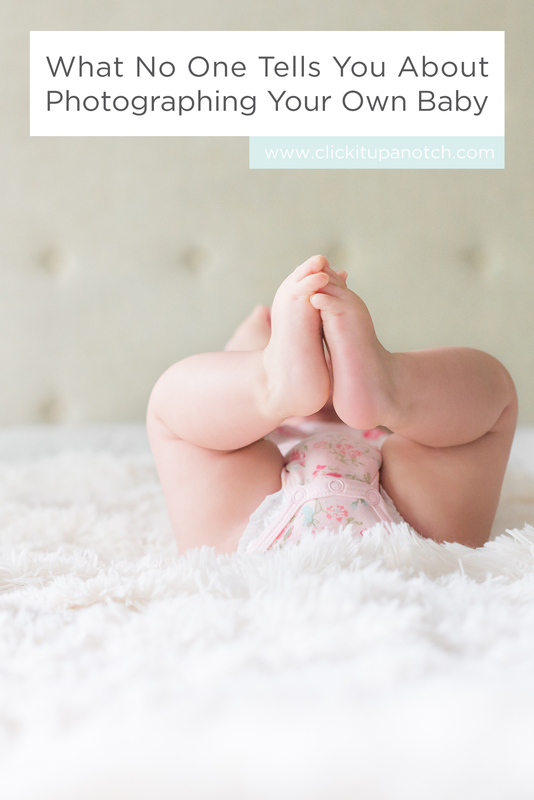 Great Tips and the nursery is amazing!! I just finished a photo project with my new little one. I was in the process of a monthly photo project when she was born, and I just didn’t have the emotional or physical energy to continue it. Plus all I wanted was to take photos of the baby! So I switched my focus – instead of going out and clicking once a month, I did a photo shoot with my baby once a month. After six months I picked some favorites and framed them. She just turned 1 and now it is time to frame some more. At each month, I took photos that represented her in that moment – like her in her Halloween outfit, in her crib when she finally stopped cosleeping, with her favorite toy, making her “scrunchy face,” first foods, Christmas morning, etc. I also made sure to get details – fingers, toes, her first teeth poking through. That way I could really document her as she grew but still live our life together. I wasn’t always behind the camera but I have some amazing memories captured in photos. I also set up the tripod with a remote shutter to make sure I was in some of them (like on the Mothers Day shoot) or so I could enjoy it in person (like her cake smash at her birthday).